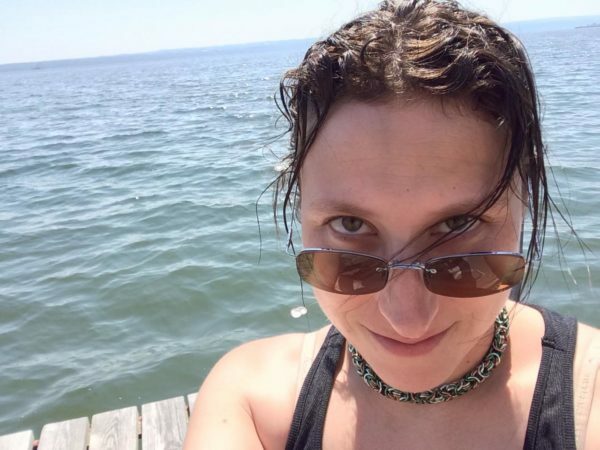 Rachel Rakov (she/her) is a doctoral student in the Linguistics Department, with a focus in Computational Linguistics. Her dissertation research is on using prosody modeling to train computational models that can distinguishing between sarcastic and non-sarcastic speech, as well as native and non-native English speech. She has presented her research at Interspeech and ASRU. In addition, Rachel has helped develop and teach courses in Python programming and Natural Language Processing for the Computational Linguistics M.A. program at The Graduate Center. She was also a consultant on the O’Reilly book “Introduction to Machine Learning”, where she provided input on how to make the content of the book more accessible to readers without a math or CS background. Rachel has been an intern with the Speech-Language Technology team at Interactions, and has taught at Hunter College.